Moda Center is Portland’s premier indoor sports and entertainment arena. Home of the Portland Trail Blazers (NBA), the 20,000-capacity stadium — with over 3,000 parking spaces — is located in the Rose Quarter, a 30-acre sports and entertainment district. Moda Center experienced three major parking-related challenges: congestion, customer service, and revenue management. The Portland Trail Blazers have amassed an impressive following. Between 1977 and 1995, they sold out a staggering 814 consecutive home games — the second largest streak in U.S. sports history. However, the popularity of Moda Center’s primary tenants posed a major logistical challenge. Game days brought heavy traffic to the Rose Quarter, which was susceptible to gridlock and congestion. As a result, fans entering and exiting the arena grounds were subjected to lengthy delays, with exit times climbing as high as 45 minutes. 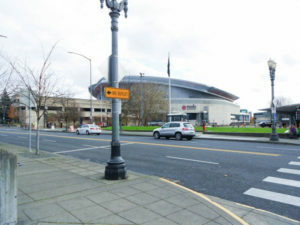 Moda Center — and the Rose Quarter as a whole — required the input of an experienced parking operator that could design and enact comprehensive, event-specific traffic plans. The customer service delivered in Moda Center’s parking assets did not match the high standards implemented elsewhere in the stadium. This was traced back to training variances — the facility’s new hires worked to noticeably different standards than that of more seasoned staff. Moda Center needed a parking management company that could deliver a well-developed training package with a focus on exceptional customer service delivery. 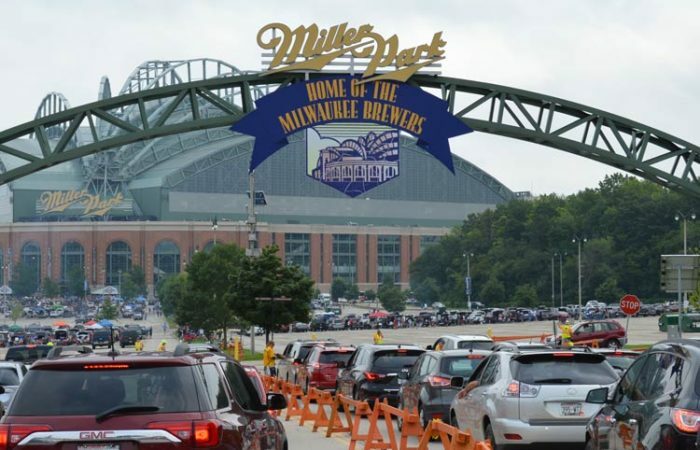 It came to the stadium’s attention that parking staff could be targeted by opportunist thieves. Unwilling to put their staff at unnecessary risk, Moda Center sought a company that could bring revenue management procedures and risk assessments up to date quickly and thoroughly, with an emphasis on staff safety. 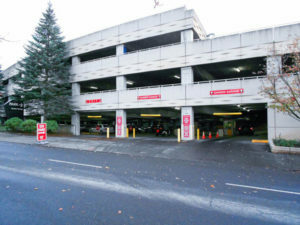 After evaluating the capabilities and pricing of several of our competitors, Moda Center selected City Center Parking (now an Impark company) to be its parking partner in 1994. Impark identified the importance of partnering with local authorities to address Rose Quarter congestion. We successfully reached out to the City of Portland’s Transportation and Police bureaus and the Oregon Occupational Safety and Health Administration to collaboratively develop a traffic management plan for game days. Prohibiting right turns at an intersection within the Rose Quarter for one hour post-game. Converting garage entrance lanes into exit lanes post-game. Stationing two police officers and over 50 state-certified flaggers on the street, sidewalks, and inside of each garage to direct traffic. Providing clear, strategically placed wayfinding signage in and around the arena. Closing sidewalks that offered insufficient walking space. Directing pedestrians away from designated vehicle exit areas. Using our specialized stadiums and arenas training program, we heightened the service delivery of all parking personnel, ensuring consistent standards across the stadium. In addition, we delivered subject-specific, enhanced training in areas we identified as requiring improvement. These included staff and visitor safety, communication, and cash-handling protocols. Finally, to complement our efforts in relieving Rose Quarter congestion while also enhancing our personnel’s skillset and cross-duty prospects, we offered staff the opportunity to train as flaggers. After conducting a thorough evaluation of parking revenue management procedures, we developed a comprehensive plan to improve the protection of staff and revenues. To begin, we installed individual safes at pay-point locations, which significantly reduced the distance staff needed to travel with cash on their person. We also implemented an incremental cash deposit procedure that lowered the volume of unsecured cash on-site. Finally, we applied a dual-custody procedure for withdrawing money from the on-site vault, lessening the threat of theft and improving the security of staff with cash-handling duties. The Rose Quarter has enjoyed the exclusive parking services of City Center Parking, now an Impark company, for over 20 years. We have the highest regard for Impark and highly recommend them for parking management services. Their executives, management, and staff are of the highest caliber. 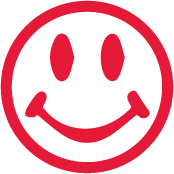 They’re extremely easy to work with and have a tremendous customer -service–-oriented corporate culture. Impark has been attentive to our needs, often suggesting and implementing parking programs of major benefit to our guests and the entirety of the Rose Quarter. Interested in finding out more about our parking management services?